"Balintdesigns is very professional, creative, and responsive. We are happy with the final designs. Thank you!" "balintdesigns was incredibly responsive and did a great job of meeting our needs while also providing creative suggestions and several options and variations. 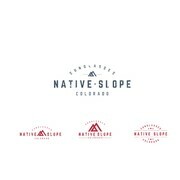 We love our new logo for NativeSlope.com, and we plan to work with this designer more. "